The Taurus equipped with the 2.0-liter EcoBoost engine will go on sale this summer starting at $28,390, including shipping. DETROIT -- The 2013 Ford Taurus, powered by Ford Motor Co.'s 2.0-liter EcoBoost engine, has received an EPA certification of 32 mpg in highway driving and 22 mpg in city driving, for a combined city-highway rating of 26 mpg, the automaker said today. The ratings allow Ford to claim mpg leadership, at least temporarily, over such mid-sized and luxury sedan competitors as the 2012 versions of the Chrysler 300, Chevrolet Impala, Dodge Charger, Toyota Avalon, Porsche Panamera S Hybrid and Mercedes-Benz E350 BlueTEC. 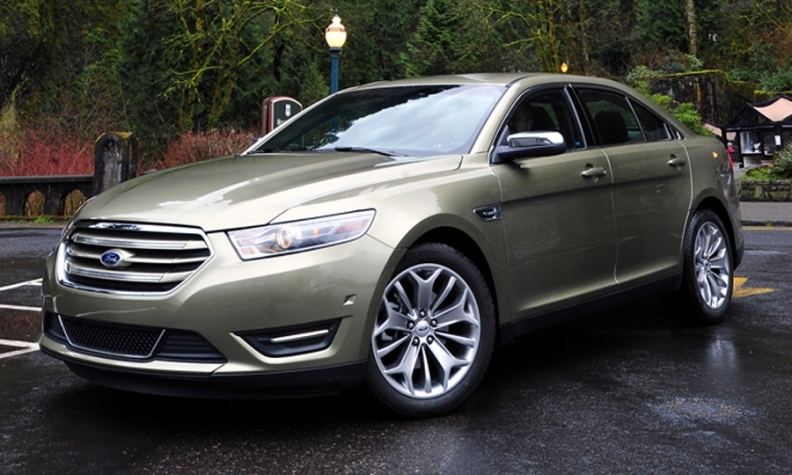 The 2.0-liter EcoBoost is one of three engine choices Ford offers with the Taurus. The top-of-the-line Taurus SHO is powered by a 3.5-liter EcoBoost V-6 that cranks out 365 hp and 350 pounds-feet of torque. It gets 25 mpg highway and 17 mpg city. The base, normally aspirated 3.5-liter V-6 gets 29 mpg highway and 19 mpg city. The Taurus equipped with the 2.0-liter EcoBoost engine will go on sale this summer starting at $28,390, including shipping. Taurus models equipped with the other two engine options are already on sale.